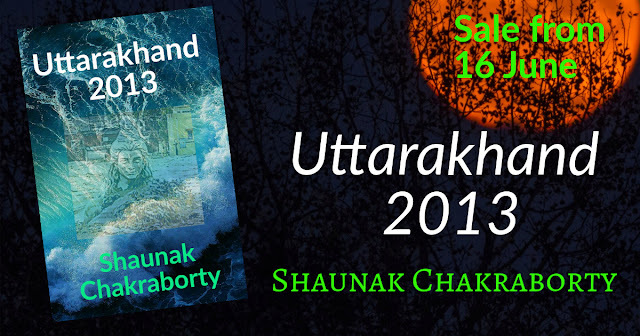 Indian author Shaunak Chakraborty's upcoming book named 'Uttarakhand 2013' will be publishing on 16 June 2019, on the 6th anniversary of Uttarakhand flood tragedy or The Great Indian food which was occurred in 2013 in Kedarnath. Chakraborty started writing this book on July 2018 and after a time period of also 1 year it is going to publish. It has been asked to Chakraborty many times that how he got the idea of writing this book, he always use to say that "The souls of the poor and helpless people who died in this tragedy came in his dream and told him to write a book on this topic." According to the sources when this tragedy occurred when Chakraborty was in seventh standard, after this tragedy happened, every night his mother recognized him shouting loudly and crying in pain during sleeping condition. Shaunak Chakraborty was born on 23 December 2000 in the metropolis city Kolkata, India. He had a hobby of writing from his childhood.